Okay. 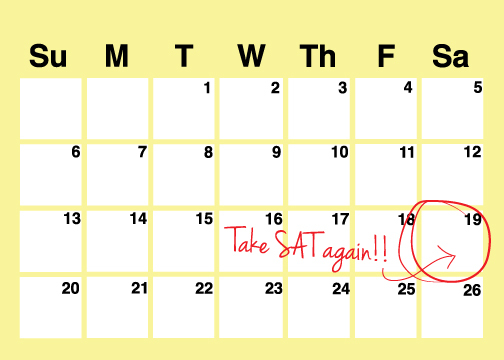 Let’s say you just got your SAT scores back, and, well…they left a lot to be desired. Maybe they don’t qualify you for your dream school, or the scholarship you needed. But before you bust out the tissues and crank up the heartbreak songs, step back. Here’s the deal: you took the test, and you have the scores. This is your reality. This is your situation. What next? Turn down the sad music, and let’s get going. This is step one. You’re trying to improve your scores, and you can’t do that without taking the test again, so figure out the next available Saturday and DO IT. Make sure that the scores will come out in time for you to apply to colleges! There’s no point in retaking the test if you won’t get the new scores until applications close. Make sure you’ll have enough time to study. Preferably, this test date should be a few months in the future, at least. You want time to really absorb the material, and you need to be able to practice it enough so it actually makes a difference with your scores. If you don’t know what you did wrong, you’re never going to be able to improve. And even if you have a hunch, i.e. “That math section was a little fishy–I bet I missed all the geometry problems,” you still don’t know for sure. To find out exactly what you missed, request a copy of your test with the answers. What? Yes. This is a thing you can do. 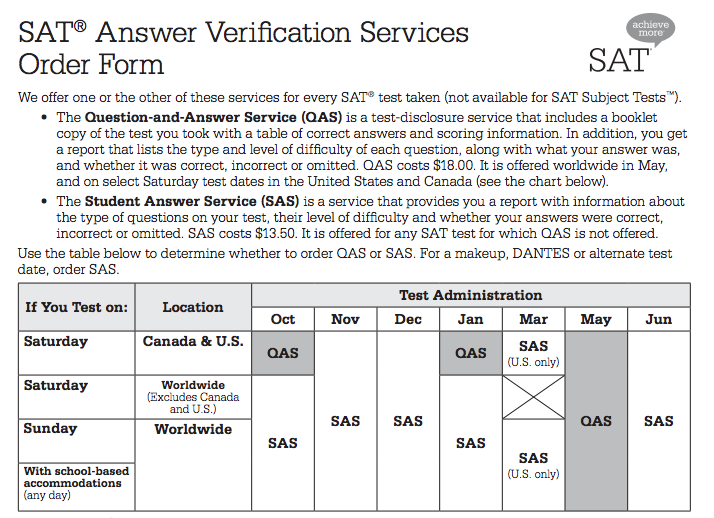 It’s called QAS (Question and Answer Service), and it’s offered by Collegeboard. If you’re just now finding out about QAS, and you order it today, it’ll get here in about 3-4 weeks. It does cost $18.00 to order, and they’re non-refundable, so that’s something to consider. Once you have your scores, sit down with a cup of hot chocolate, flop onto the couch, and read through. Grab your favorite pen, and just. Start. Circling. Circle every wrong answer. Start listing them out based on what type of question they were. Did you miss a lot of vocab questions, especially in the difficult section? Did you miss a bunch of easy math questions because of simple adding errors? This is important to know! 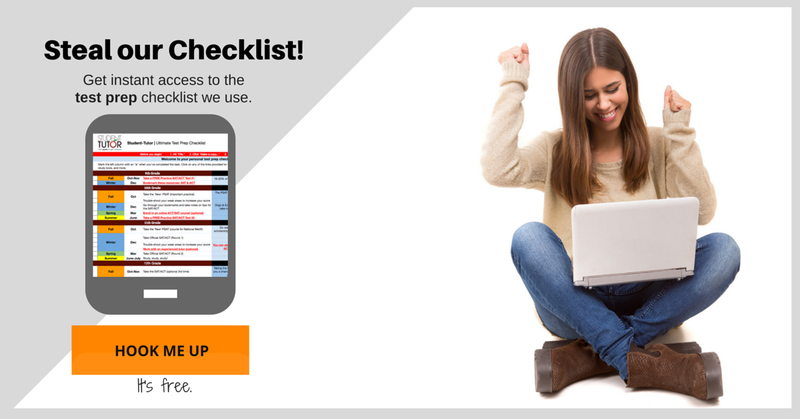 SAT books – focus on the sections that work for you! Comprehensive online study programs – try Kaplan, Varsity Tutors, or our very own SAT on Demand program. The advantages of studying solo (or with a friend) are, obviously, you can set your own hours, you can study exactly what you want to, you can move at a pace that works for you, and you can sometimes save money by keeping professionals out of the mix. But, as always, there are pitfalls to watch out for…especially if you’re studying online. Facebook, Buzzfeed, Pinterest…distractions, anyone? If you’re studying solo, you have to figure out how to get organized, and keep yourself on track. Another pitfall can be if you keep going over the same material over and over again, and you’re just not getting it. That can be super discouraging, and make you want to turn Taylor Swift back on full blast. If you’re getting frustrated, consider a tutor. There are reasons why people don’t just do everything alone. Writers have editors that can help them see where they might have made a mistake. Celebrities have managers that keep them on track and tell them when things are a terrible idea. And frustrated students have tutors that are paid professionals that help you see where you might be missing something. If you have the time and money to dedicate to tutoring, especially if it’ll make a difference when it comes to getting a scholarship, or even getting into college, definitely think about it. If you’re still having trouble with SAT practice tests, even after studying, your particular thought patterns might not be suited for the SAT format. And if that’s the case, try your hand at the ACT! Generally speaking, the questions are more straightforward, it feels more like a regular high school class test, and the math is a little more advanced. If you’re still not gellin’, consider the ACT. You can so absolutely do it! Are you trying to figure out what to do with your low SAT scores? Have you studied and made a huge score leap? Comment below!